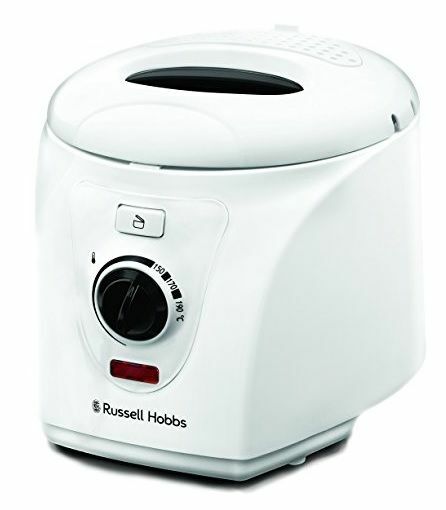 The Russell Hobbs Compact Fryer is ideal for those who enjoy a little indulgence. It’s perfect for one or two servings and enables you to cook a variety of cuisines from spicy Indian Samosa’s to sweet, delicious Spanish Churros. The 1.5 litre oil capacity can hold a variety of different cooking oils, depending on your taste buds, or the meal you’re preparing. The Compact Fryer has a 500g maximum food capacity, perfect for one to two servings. Featuring an adjustable thermostat, you can choose the heat setting of your oil, allowing you to cook a wider variety of food. External handle control which increases safety around hot cooking oil, reducing the risk of burning. Non-slip feet - meaning the Compact Fryer is sturdy whilst in use. Whilst a non-stick coating on the pan provides a fuss-free, mess-free experience. 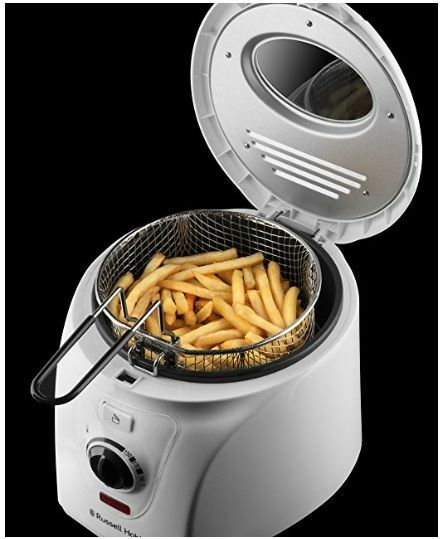 The fryer also includes a metal filter which is easy to clean and dishwasher friendly.